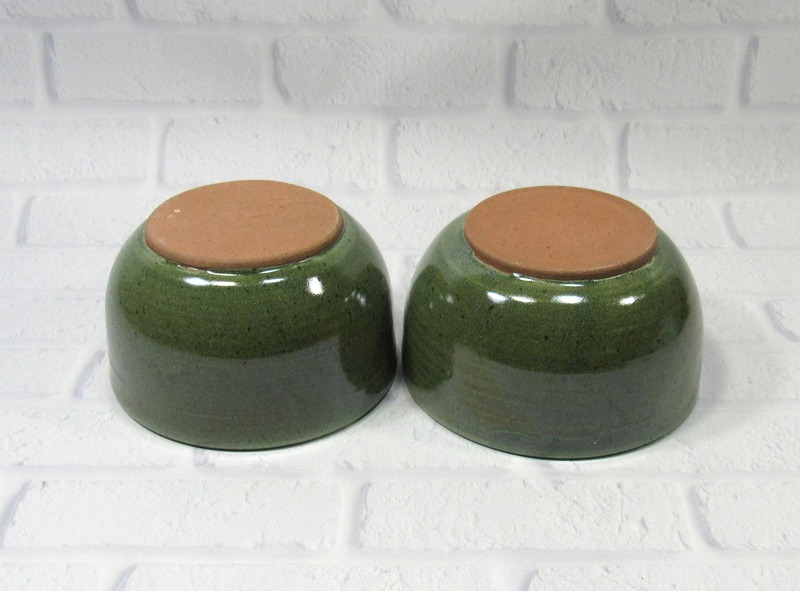 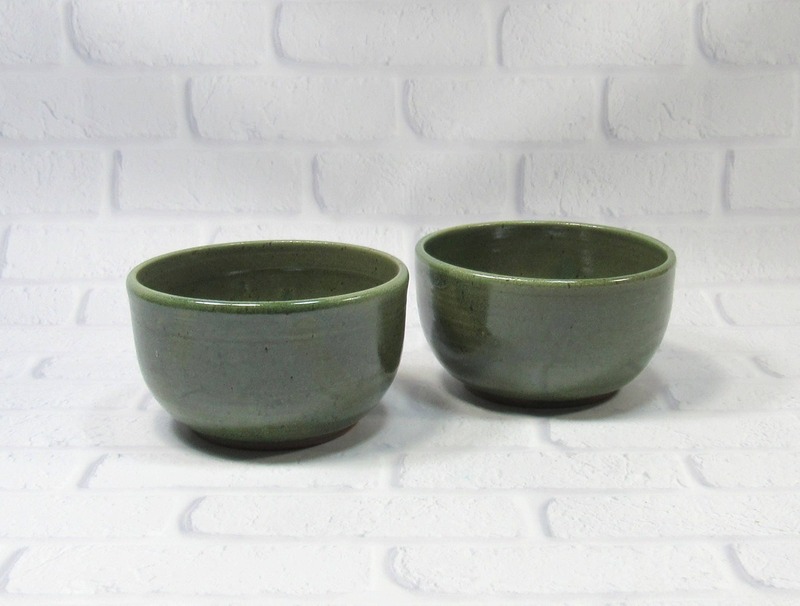 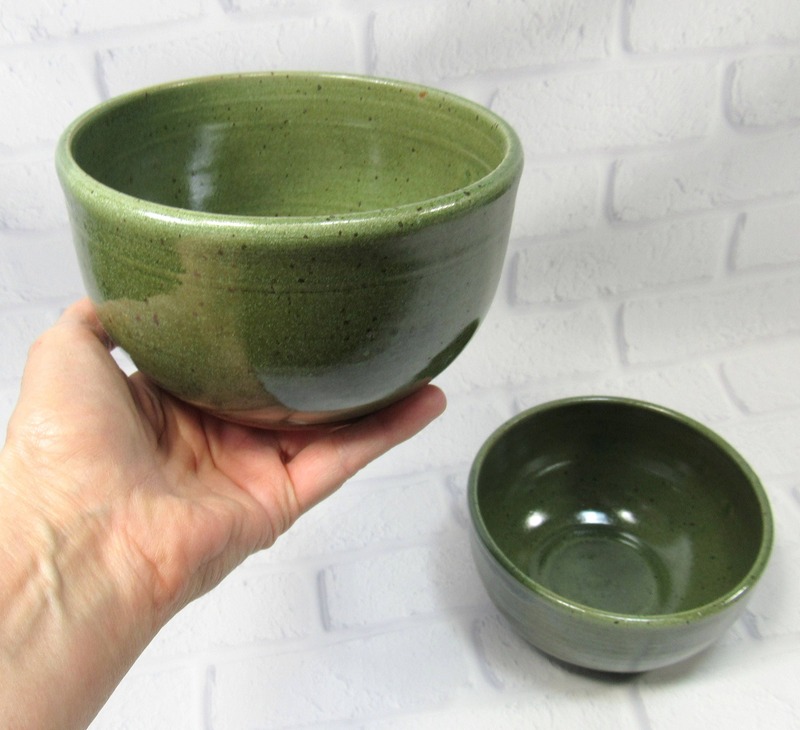 Set of 2 pottery bowls, ideal for serving soup, ramen, rice, or noodles. 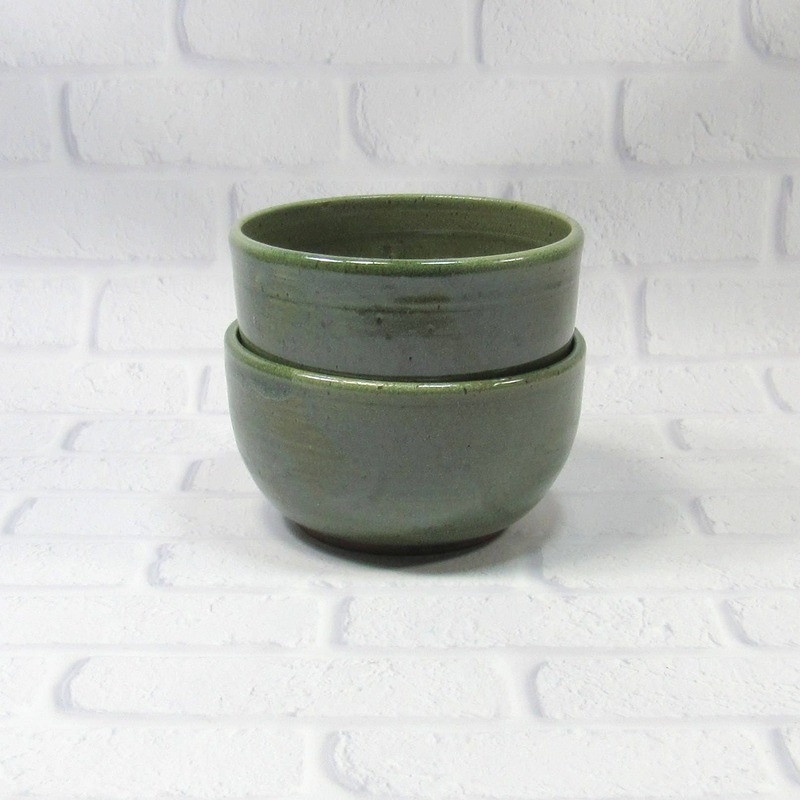 Use them also for serving dips or other appetizers such as olives, relish, pickles and so forth. 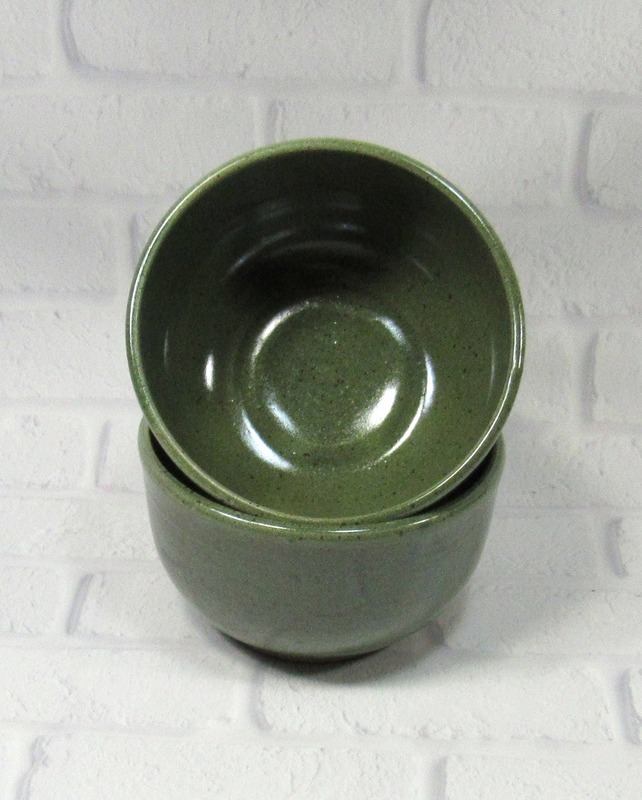 They make perfect trinket bowls as well: use them to hold your keys and change or your rings. 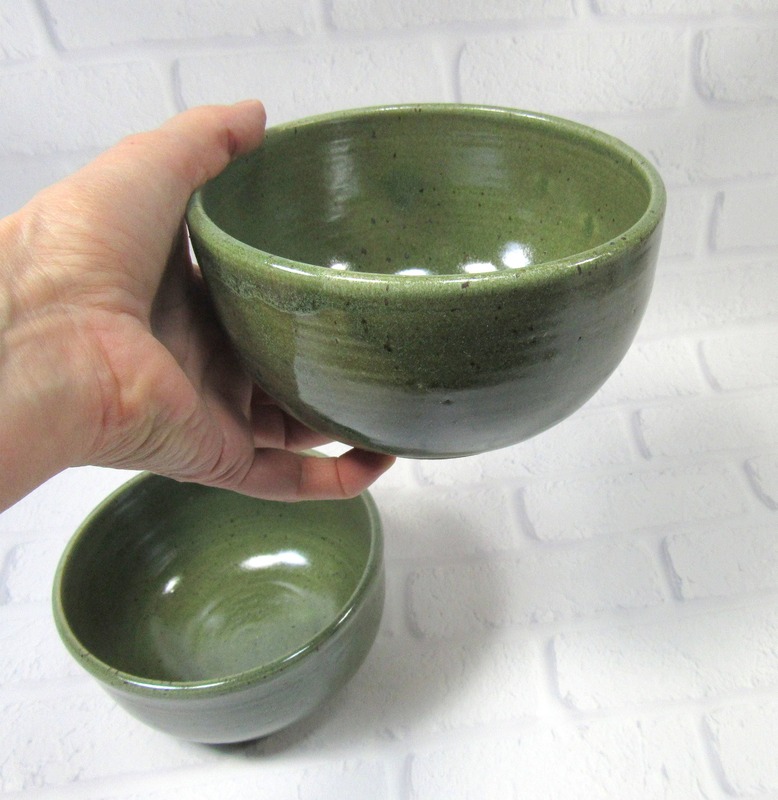 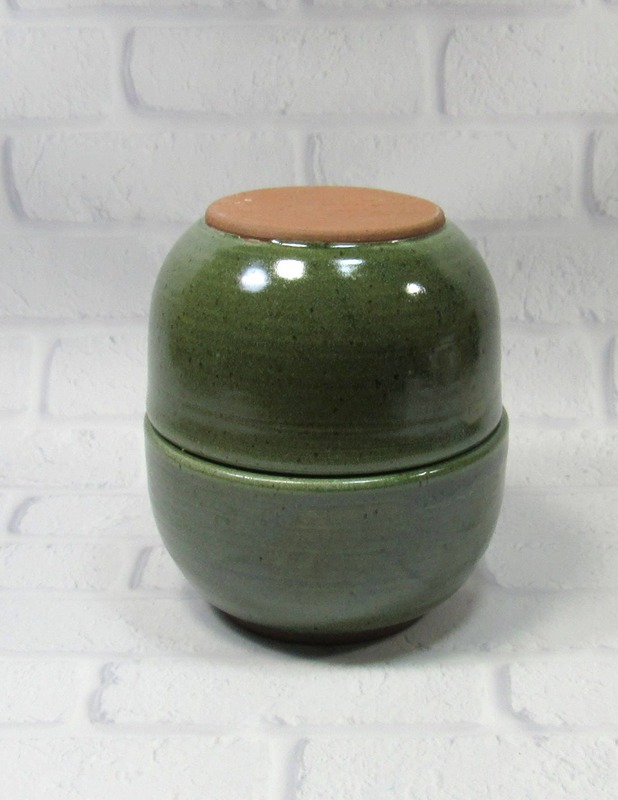 Measurements: 3 inches tall; 5.25 to 5.5 inches in diameter; hold 2 cups (16oz). 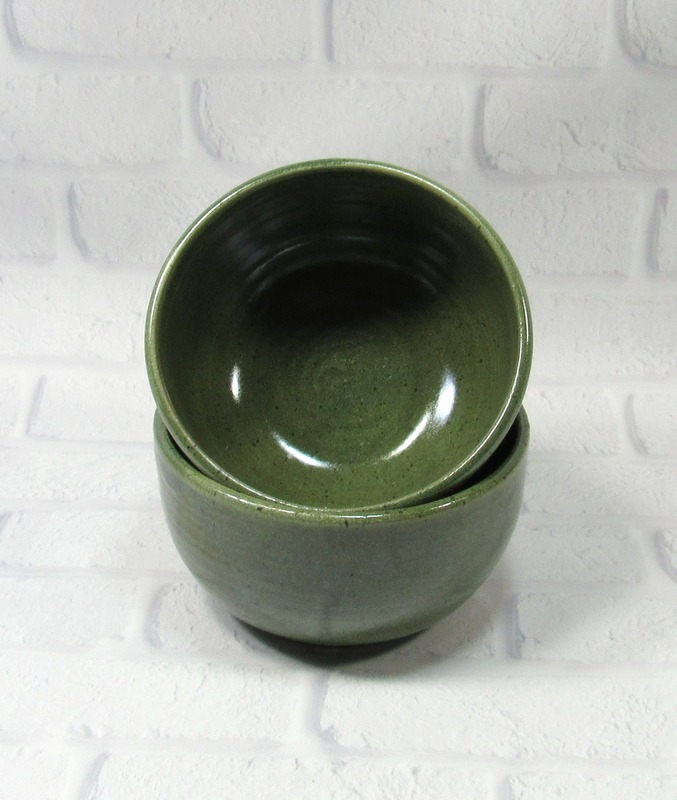 I made these bowls on the potter's wheel and trimmed them once they were dry enough to handle. 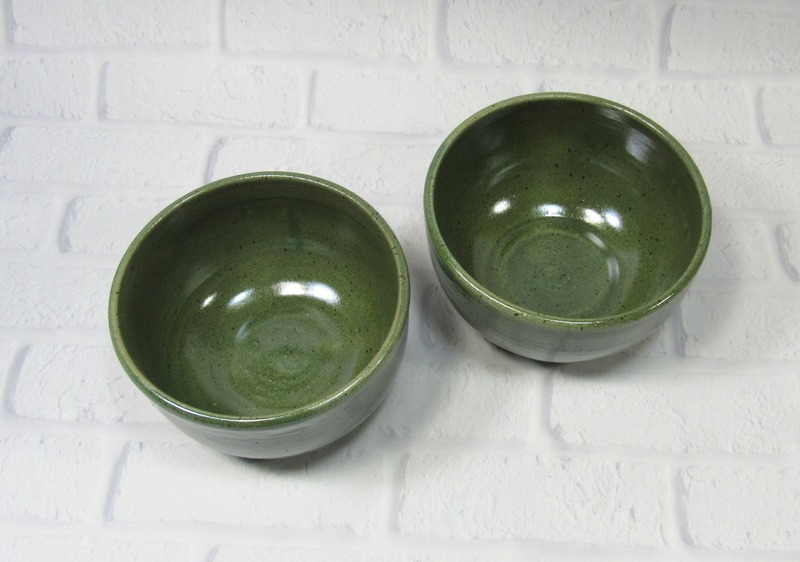 After the first firing, I glazed them in beautiful green glaze. 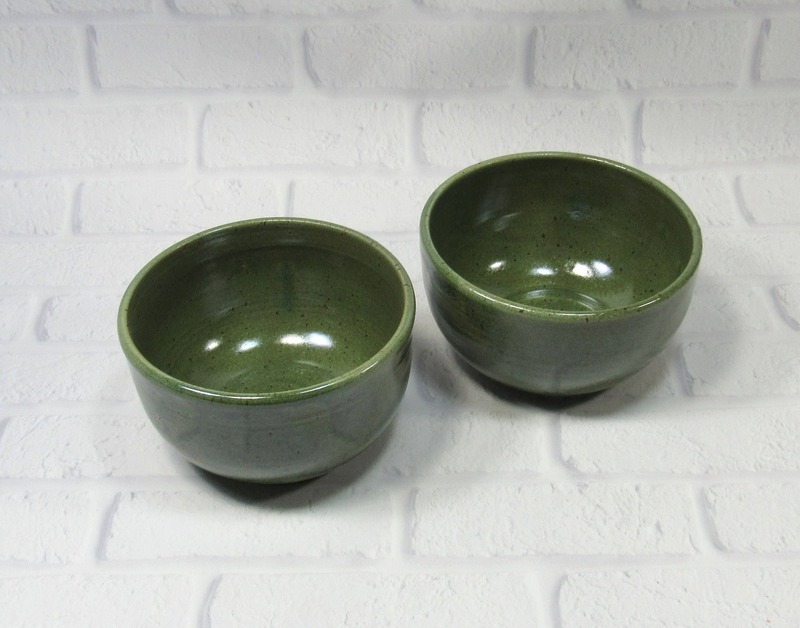 The clay has naturally occurring dark speckles that enhance the rustic beauty of the bowls.